Children in every country around the world brave the devastating effects of hunger and malnutrition. Of deaths under five, 45% can be attributed to poor nutrition, and even children who beat the odds early in life often continue to live in a state of hunger. The World Food Programme reports that 66 million primary school-age children in developing countries go to class hungry. Even in developed countries, hunger and undernutrition are prevalent among young learners. In the United States, 1 in 5 children, or 16 million, come from food insecure homes where they do not have adequate nutrition or enough to eat. It’s a serious problem. Hunger and malnutrition stagnate the learning ability of the world’s youngest students. If a child goes to school hungry, she can’t focus. If she can’t focus, she can’t learn. A 2013 study by the NUTRIMENTHE group detailed the incredibly important role that nutrition plays in the structural and functional development of the human brain—starting in the womb, continuing through childhood and into adulthood. Inadequate levels of iron in the diet leave children tired throughout the day and more prone to behavioral problems and poor performance in school. Zinc deficiency in children is associated with reduced cognitive and motor performance and with higher incidence of depression and attention deficit disorders. Not having enough iodine impacts a child’s brain development, drastically lowering IQ or in the worst cases, leading to mental retardation and irreversible brain damage. Insufficient vitamin A weakens the immune system and can lead to increased school absence. This particular deficiency affects nearly 163 million youth and is the leading cause of preventable blindness in children. World leaders recently agreed on the Sustainable Development Goals – making no hunger and quality education high priorities. Already progress has been made. We know what nutrients children need in their diets to learn and thrive. We know where the hungriest and most undernourished live. We have a solid base of nutrition and public health research. And, a number of very smart individuals from around the globe have made serious investments of time and money to study ways to feed our children and provide them with healthy food options. School lunches are one way to create a healthy learning environment. The World Food Programme, UNICEF and Save the Children provide resources for school meals to help nations address malnutrition. Countries understand that school food programs provide the basis for a healthy learning environment. India and Namibia incorporate micronutrient fortification in school lunch and in foods popular among children outside of the classroom. Bolivia’s school meals have embraced natural, local and cultural foods—and the children themselves are requesting more fruits and vegetables. There are many success stories throughout the world. Hunger and malnutrition solutions for school-age children address broader health challenges, too. Deficiencies in iron, vitamin A and zinc are ranked among the World Health Organization’s leading causes of death through disease in developing countries. School lunch programs that purchase from local farmers also fuel the local economy by creating and sustaining jobs. Daily school meals can provide a strong incentive to send children to school and keep them there. In areas with gender inequality, take-home rations can encourage families to send girls to school. Zero hunger and quality education for all by 2030 are ambitious goals. To get there we need to work smart and be nimble in our thinking. Feeding programs that work and have the potential to be expanded and replicated need to be studied, documented and shared. Those who design and implement these programs at the Ministry and community levels also provide useful insights to countries examining their own school meal and nutrition policies. If we invest in schools and nutrition and share our discoveries, failures and successes along the way – together, we can build a brighter future for all of the world’s little learners. In light of today’s celebration of the 20th anniversary of the International Day of Families and this year’s declaration by the United Nations as the International Year of Family Farming, this week is an opportune time to focus the spotlight on family farming’s role in fighting global hunger and ensuring a well-balanced nutrition for all. Smallholder family farms face a specific set of challenges and opportunities and require agricultural, social and environmental policies that support their needs and role in supporting food and nutrition security. Family farmers are leading actors in ensuring global food security. Over half a billion family farmers produce more than 50 percent of the food our world consumes on a daily basis. Most of these heroes work tirelessly to help feed us; yet, they barely have enough to feed their own families or any surplus left to sell or trade in markets for their own consumption. In addition, family farming practices are less damaging to our environment and help protect crop nutrients leading experts in the field to argue that family farms “are not only feeding the world, but also nourishing the planet”. This is a well-recognized fact by the international community – for example, if we look at the five key elements of the UN Zero Hunger Challenge, not only does one of them address smallholder farmers specifically, (but three others also include specific mention of issues relevant to family farming practices (see chart below). Consequently, as well look to eliminate hunger it is important to focus on strategies that benefit family farmers in a sustainable manner. This goal intends to “enable all people to access food at all times by promoting nutrition-sensitive agriculture, boosting food supply from local producers and developing well-functioning markets and trade policies” for family farmers. Family farmers play an important role in ensuring sustainable farming practices are in place by wisely using natural resources to protect the local environment. This goal specifically targets family farmers and hopes to help increase smallholder’s income by supporting agricultural research and innovation and enabling access to assets and natural resources that make family farming more efficient. By improving storage and transport facilities waste of food can be minimized. Family farmers play a leading role for this goal as their production capacities and trade practices at markets can help reduce loss or waste of food. While the importance of family farmers is well-known, it is important to translate this recognition into policies that directly influences family farming practices, supports their access to resources, and helps boost their productivity. Being personally involved with nutrition programs for children in El Salvador and having firsthand experience working with rural Bolivian communities, I believe that one of the biggest challenges is taking in-the-field realities into consideration while developing and implementing programs and policies that will create an impact. For example, when creating a training program for rural farmers on more efficient ways to care for crops in order to minimize the use of natural resources such as water, we must be aware of the limitations farmers have to understand learning materials. Do family farmers know how to read, are they aware of the risks of over using water, do they care for environmental sustainability? How can we share messages with them in a manner that allows them to not only absorb the messages in a way that makes sense to them, but also in a way that allows them to take ownership of the programs implemented and feel invested and committed to their success? These are all questions practitioners must have an answer for, and will only learn the answers by getting immersed at the local level. On this International Day of Families we who work in international development are urged to make families a priority in all of our initiatives and conversations. Family farming is a practice that must be supported and protected and it is a pathway to help end world hunger and malnutrition for all. In the spring of 2011, the Arab Spring evolved into a brutal war between opposition and government forces in Syria. Three years later, the conflict continues, having already claimed over 100,000 lives and causing injury to hundreds of thousands more. In the face of such devastating circumstances, over six million Syrians have fled their homes and sought out safety in Syrian refugee camps. Over two million others have decided to leave their home country and have crossed Syria’s borders into surrounding countries such as Jordan, Lebanon, Turkey, Egypt, and Iraq. The United Nations, governments, and NGOs have claimed that the Syrian Refugee Crisis is the “most challenging refugee crisis in a generation,” reaching proportions not seen since those following the Rwandan Genocide of 1994. Communities across the Middle Eastern region are bearing harsh consequences from the huge influx of Syrian refugees. Schools and hospitals are overpopulated and understaffed, housing prices have risen, and wages have declined as the swelling numbers of refugees offer cheaper labor options. The governments of countries with high refugee populations are concerned with the relative lack of water and/or food in the region to sustain the increasing number of people living in their lands. 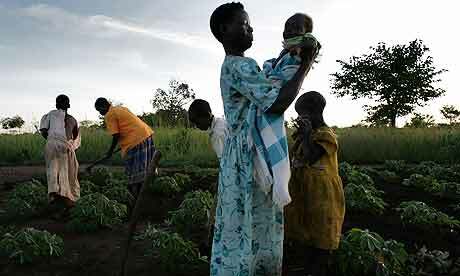 As the refugee population continues to grow, countries already facing issues with food security face a bleak situation. The lack of food available affects not only the health and nourishment of the refugees, but also their ability to partake in education programs or work. The growing refugee population is not only a concern for governments in providing for these additional people, but also because of the effect the increased population has on their own citizens. In Lebanon, where over half a million Syrian refugees reside, 170,000 Lebanese have been pushed into poverty by the Syrian crisis and 72% of the Syrian refugee population in Lebanon has been labeled food insecure. Government expenditures have increased $1.1 billion for increased public services. Turkey is the temporary home to approximately 670,000 Syrian refugees, and the government estimates that it has spent over $2 billion responding to the crisis. In Jordan, which has 600,000 registered refugees, the cost of food has increased by 27% in the last year alone. These figures are bleak and alarming, and unfortunately, the number of refugees and the rate in which they are fleeing Syria’s borders are only increasing. For the millions of Syrians living in refugee camps throughout the Middle East, hunger and undernutrition are major issues. Even with the help of foreign aid, host countries do not have the means to provide for the needs of refugees. Furthermore, official statistics and government aid do not fully account for the thousands and thousands of Syrians living in towns and communities outside of refugee camps in these countries. In Jordan, those living outside camps receive aid in the form of a UN stipend of $140 per month, which hardly covers rent, let alone food. Addressing the food security needs of the Syrian refugee community is further complicated by the challenges of food distribution. Typically, distribution efforts for refugee communities are managed jointly by World Food Programme (WFP), the UN High Commission for Refugees (UNHCR), a large network of local governments, and NGOs in the crisis region to ensure food arrives to those who need it most. However, it is extremely challenging to ensure that food items are delivered to people who need it most or to adequately assess the nutrition needs of different communities when dealing with regions with internal violent conflicts, as in the case in Syria and throughout much of the Middle East today. Despite the emergency preparedness and responsive measures of the WFP and the UNHCR, with 9.3 million people in need of humanitarian assistance inside of Syria and many millions more in the surrounding region, there is still much to be done for the Syrian refugee crisis. The international community has an obligation to address the pressing needs of Syrian refugees as they distress the current state and the future of food and nutrition security throughout the Middle East. This week, the National Geographic Society and Food and Agriculture Organization of the United Nations (FAO) are launching an eight-month series titled "The Future of Food" to raise public awareness of food and agriculture topics, and the question of how to feed nine billion people by 2050. The May issue of National Geographic magazine kicks off the conversation with Jonathan Foley's article titled "A Five-Step Plan to Feed the World." In addition, you can join the National Geographic Society and FAO for a live-stream panel event from 2:00 - 4:30 p.m. US Eastern Standard Time on Friday, May 2 to learn more about what is in store and how communities can engage. In the series' first feature piece, Foley, Director of the Institute on the Environment at the University of Minnesota, looks at where we are in our efforts to feed the world, what is required as we look ahead, and what is at stake if we simply keep doing more of the same. I applaud the National Geographic Society and its collaborators for taking on this important topic. In reflecting upon Foley’s article and opportunities within the broader series, I felt that some critical additional issues should be elevated. Below is what stands out given what the food and nutrition security team at Humanitas Global is seeing in the field. 1. Put nutrition front and center. We cannot overlook the importance of nutrition. The conversation must extend beyond feeding more people and producing more food. Filling bellies is one thing, but nourishing the mind and enabling optimal development in children are another. The good news is that we have the tools and knowledge to create integrated strategies where feeding AND nourishing can co-exist. We must acknowledge that fighting hunger AND malnutrition go hand in hand, and demand that countries look at quality of food – not merely quantity. 2. Elevate the world’s farmers. There is a well-documented farmer drain underway in much of the world – especially as it relates to young people. In Africa, for example, more than 70 percent of the population is under age 30. Instead of staying on farms, young people who have the ability to move to urban centers or select jobs in non-agricultural sectors are doing so in significant numbers. This reminds me of something that young Eastern European teenagers told me a few years ago: the last thing they would choose to do would be to follow in the footsteps of their parents and be farmers. It was work that the poorest of the poor did, and despite long hours and tremendous efforts toiling the land, their families remained hungry, cold, sick and overlooked by the world. It was a miserable existence. We have to incentivize, celebrate and exponentially improve the lives of the world’s farmers. We can have the best insights, systems and technology in the world, but if we don’t have the hand that wants to, and is celebrated for, turning that switch on, we are sunk. 3. Build enabling environments where feeding the world can flourish and tell us about them. I’m astounded by the “soundbite” nature of how we illustrate success in fighting hunger and malnutrition. On the one hand it is powerful to hear of that inspiring story of the number of people fed through an intervention, percentage decline in nutrition-related diseases, etc. On the other hand it prevents us from emphasizing the story of systems, capacity and policies that were improved and required to deliver these results. The National Geographic article highlights the Green Revolution. So much of the legacy of Dr. Borlaug and his Green Revolution is communicated as being defined by scientific and research innovations, agricultural technology and crop inputs, but these elements were actually only one part of the success that Dr. Borlaug and his team of scientists demonstrated in India and Pakistan. These elements also are not the main reasons why the Green Revolution failed in Africa. The Green Revolution worked in South Asia because Dr. Borlaug was able to secure support from Indian and Pakistani leaders who committed to the Green Revolution's offerings through a mix of cross-cutting, comprehensive initiatives. In the 1960s these South Asian countries constructed an enabling environment that included an ideal policy landscape, engaged farmer and beneficiary communities, and mechanisms for scalable and seamless delivery of goods and services. How ironic that the darlings of the Green Revolution now demonstrate the world’s worst rates in hunger and malnutrition; the scenario reinforces that the goods may be at our disposal, but if our delivery systems, political will and country capacity to implement are weak, the goods can only get us so far. We must be careful not to perpetuate an incomplete conversation that prevents us from highlighting the other elements that contributed to success. Building country capacity, an ultra-engaged consumer base, effective supply chains, accessible financial services platforms, mechanisms for market connectivity, advocacy programs, relevant public health, food and nutrition policy frameworks, better infrastructure, etc. are all part of sustainably ending hunger and malnutrition and feeding our growing world. These may not be the most exciting storylines to tell, but they are the storylines that ultimately transform communities. 4. Our collective knowledge base is vast; let’s scale it. We know that much of what stands in the way of progress in feeding and nourishing the world is linked to context-specific challenges. We also know that knowledge and solutions are plentiful, but they need to be scoped and curated to respond to regional and country-level barriers. By creating accessible mechanisms and platforms where context-appropriate knowledge, experiences and solutions are able to be credibly shared, communities will be better able to integrate available knowledge into their own responses to meeting food and nutrition needs. 5. Make it work for women. She has a baby on her back, a hoe in her right hand, a water container in her left hand, and a bundle of freshly harvested vegetables balancing on her head. She is the one who is literally holding up and feeding our future. We need to build a kinder world for women. We must construct a world that gives a woman the right to own and inherit the land upon which she works, where basic health, financial and technical services come to her, and where women farmers are prosperous, protected and promoted as heroes. I’d love to hear what else our readers think needs to be brought forward. Leave a comment below to tell us what else is needed to match the food and nutrition needs of our increasing population. Throughout Central America, coffee farmers are facing the very severe effects of climate change in the form of the roya, a rust fungus which causes leaves to fall from coffee plants and keeps them from producing full harvests. Many Central American governments have declared a “State of Emergency” due to the roya, as it affects the more than 351,000 coffee growers and two million citizens throughout the region whose livelihoods depend on coffee production. In the 2012-2013 coffee season, there was an estimated loss of 437,000 jobs, and that number is expected to continue rising this year. In 2013, over 50% of the total coffee growing areas in Central America, including El Salvador, Honduras, Guatemala, Costa Rica, and Nicaragua were hit by the roya, costing the region around $500 million in coffee production loss. The fungushas destroyed the coffee plants such that it will take up to five years and extremely toxic chemical treatments for them to regain normal production. Coffee production is extremely sensitive to temperature and rainfall, and grows best between 18-23° Celsius. The presence of the roya (scientific name: hemeleia vastatrix) throughout Central America has been attributed to the increasingly warmer climate; even higher altitude regions that were once protected are now susceptible. Unnaturally heavy rainfalls assist in the multiplication of the disease and heavy winds carry the fungus to once-unaffected areas. Once the disease has reached a new coffee plantation, the plants’ deterioration is certain and rapid. The coffee rust, once present on a plant, affects not only the immediate harvest but also the following season’s yields. Effectively combating the fungus in Central America could take up to $300 million, and that would not even begin to address the lasting effects on the population’s health. As global temperature rises across the board, the overalleffects onagricultural production are detrimental, especially for the millions of people worldwide who rely on agriculture for both work and daily subsistence. The roya has been deteriorating coffee plantations throughout many countries in Central America since the late 1970s. In recent years, the problem has escalated to new extremes. In both 2012 and 2013, over 70% of coffee production areas in El Salvador and Guatemala have been affected by the roya, with Costa Rica not far behind. The overall production loss across the region was 17% for the 2012-2013 season, and is expected to fall even more in this year’s harvest. Hundreds of thousands of Central Americans, who once saw coffee as their sole form of income, currently face severe hunger, undernutrition, and debt. In Nicaragua, the poorest country in Central America, coffee makes up 20% of the country’s GDP. One-third of Nicaragua’s working population, or about 750,000 people, make a living from the coffee industry. Over the next forty years, 80% of areas where coffee is currently the dominant crop is expected to be unusable for coffee production. As 75% of the Nicaraguan population currently survives on about $1.50 a day, coffee farmers are already struggling to provide food for their families in the non-harvest seasons. Similarly, in Guatemala, reports of chronic malnutrition among coffee worker’s children show the extreme consequences of the roya on the general population’s wellbeing. According to the International Coffee Organization, the loss of jobs and income to farmers poses a serious threat of food security in many areas throughout Central America. According to an Oxfam report, climate change is setting the global fight against hunger back by decades as communities, who once survived on the sustenance or profit from crops such as coffee, are now incredibly vulnerable to the harsh realities of poverty and food shortages. Even Starbucks, fearing the loss of Central American coffee beans, recently urged the United States government to take direct action to address climate change in the areas where coffee is most heavily produced. Some important measures have already been taken to address the problem of the roya in Central America. The Food and Agriculture Organization of the United Nations has partnered with regional governments, coffee-grower associations, and the World Food Programme to develop responses to the challenges faced by the coffee sector. Short-term responses have included the deployment of mass aid and alternative food sources to affected Central American countries from the WFP. The roya is just one example of how climate change is affecting and will continue to affect global food and nutrition security. As the recognition of the importance of climate-smart agriculture continues to grow, it is important that hunger and nutrition considerations are incorporated into the discussions and planning. In 2011, 768 million people around the globe lacked access to improved water sources and 2.5 billion people did not have access to improved sanitation. In recognition of this challenge, this year’s theme for World Water Day, observed annually on March 22, focuses on the relationship between water and energy, including the role energy sources (such as electricity) play in providing sanitation services. One of the five key messages of this year’s theme focuses on the water and sanitation needs of the “bottom billion.” Improved water and sanitation are critical for elevating the overall health and development of children, including their nutritional status. A 2013 report stated a World Health Organization (WHO) estimate that suggests 50% of child malnutrition is associated with infectious diseases, an ill that could be alleviated through improved access to water and sanitation services. An estimated 165 million children under the age of five suffer from chronic malnutrition and 52 million suffer from acute malnutrition in low-income countries. An integrated approach that links efforts addressing the issues of nutrition, water and sanitation could have a greater impact on results in years to come. One example is incorporating appropriate water, sanitation and hygiene (WASH) practices with community based nutrition counseling efforts, empowering practitioners with tools that could enable efficient targeted programs. A 2011 inter-agency report highlighted tangible progress in Peru utilizing such practices, as chronic malnutrition was reduced by five percent in three years by integrating small-scale financing, water and sanitation improvements, better child and maternal health care and nutrition education programs. 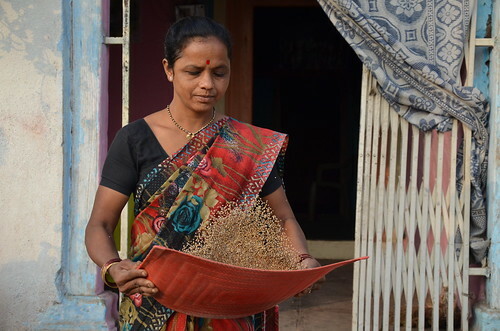 Issues such as improved water and sanitation access are just as important as improving diets. Therefore, improving nutrition is a multidimensional challenge that requires a holistic approach in order to spur change and make sustainable impact. Part of improving food security is ensuring that food is not only of high nutritional value, but is also safe to eat. Last week, Secure Nutrition and Abt Associates presented an analysis of aflatoxins in the food systems of Tanzania and Nigeria, as a framework for how countries and organizations could assess the issue and take action to prevent contamination. Aflatoxins are naturally occurring toxins produced by two particular species of fungi that can contaminate many dietary staple foods such as maize, groundnuts, rice, soybeans, and cassava. The aflatoxin-producing fungus contaminates the grain before the harvest or during storage, particularly in humid environments or during stressful conditions such as droughts. In addition to direct consumption of staple foods, aflatoxins can be passed through animal food products and breast milk. Aflatoxin is highly poisonous to humans, and if consumed, can cause death. Long-term exposure to low levels of contamination, although not immediately fatal, is still harmful and increases the risk for liver cancer and may suppress the immune system particularly in Hepatitis B positive populations. There is also the possibility that aflatoxin exposure in children may lead to stunted growth and delayed development (although this connection still has to be fully explored and studied). Poor populations are more vulnerable to the effects of aflatoxins. In many instances, contaminated foods are sold at lower prices in the market, and families cannot afford to discard possibly contaminated foods. Although awareness campaigns on the dangers of consuming aflatoxins and improved enforcement of food safety regulations can help prevent contaminated foods from reaching the marketplace, this does not solve the problem and can have negative health and income impacts on smallholder farmers. Farmers with potentially contaminated foods would likely have more difficulty selling their crops, and could end up consuming the contaminated foods themselves. In addition to the health impacts, the prevalence of aflatoxins can also lead to negative economic impacts for the agricultural and agribusiness sectors. Although they are certainly not the only limiting factor, aflatoxins make it challenging to sell staple crops and foods produced from staple crops in regulated markets, particularly export markets. Given that aflatoxins are stable compounds and are difficult to degrade even at high temperatures, the best way to control its spread is by preventing contamination of crops in the field and during storage, and by detecting and removing contaminated goods from the food supply chain. One of the leaders in fighting aflatoxin contamination is World Food Programme (WFP). Through its Purchase for Progress (P4P) program, WFP has created a platform to raise awareness about aflatoxins and is working with governments, farmer’s organizations, and suppliers to make improvements in the food supply. This has not only led to WFP being able to source contamination-free crops for P4P, but also improved overall food quality and safety as a whole. As with the larger campaign to end global hunger, addressing the issue of aflatoxin contamination in vulnerable markets requires a multi-sectoral response and strategy that encompasses education, behavior change campaigns, investments, policy advocacy and aid among other critical factors in order to create a long-lasting effect that provides economic stability and improves the well-being of populations.